Buyer, beware. Cobbling together “packages” designed to cover gaps in high-deductible health plans could shortchange consumers, warn advocates. This year more than ever it is important to know your options. Aside from providing basic health coverage, the various ACA plans also include some pretty decent perks. A full repeal of Obamacare, which Republicans say they are unlikely to do, would take health insurance away from 30 million people, a new study shows. Only one in four people in the United States wants president-elect Trump to repeal his predecessor's health care law, according to a poll. The Obama administration failed to follow its own rules in the health care law in a $5 billion dispute over compensating insurers, the GAO says. More than 600,000 veterans will go without health insurance next year unless 19 states stop holding out against expanding Medicaid, researchers say. Even people with insurance get charged $1,000 or more in co-pays and deductible for a hospital visit, a new study found. A new report projects that U.S. health spending will be about $2.6 trillion less than originally forecast when Obamacare was signed into effect. U.S. health insurer UnitedHealth said Tuesday it would largely exit the Obamacare individual insurance market in 2017. Obamacare has its sixth anniversary Wednesday and the White House is declaring victory over critics who said it would fail. About 12.7 million Americans signed up for 2016 health insurance coverage through the government insurance exchanges, surpassing expectations. The minimum penalty rises to $695 in 2016 for someone uninsured a full 12 months and not eligible for one of the law's exemptions. People who don’t have health insurance yet for next year need to hurry up and get it or risk a fine, the federal government warns. Two attempts to save federal funding for Planned Parenthood for one year, part of a bill that repeals key pieces of the Affordable Care Act, failed. The Obamacare health insurance exchanges are still easily tricked by fraudulent applications, the government's accountability office says. The Obama administration announced Thursday it expects only a slight overall increase in enrollment next year. Americans, long used to seeking bargains, look mostly at price when they’re shopping for health insurance, a new survey shows. The next few days are crucial for hundreds of thousands of customers at risk of losing financial aid when they renew coverage for 2016. More than 7 million people who didn’t have health insurance last year got coverage this year, a new government survey finds. In a huge victory for the Obama administration, the Supreme Court rejected a challenge to the president’s health care law in a decisive 6-3 decision. Doctors,advocates and patients breathed a sigh of relief Thursday when the Supreme Court upheld one of the most important provisions of Obamacare: the federal subsidies. President Obama reacts to the Supreme Court's ruling on key portions of the Affordable Care Act. The "#SCOTUScare" hashtag trended on Twitter as reaction poured in online from 2016 hopefuls, activists and your average citizens. Will Republicans Finally Accept Obamacare? Most Americans want the Supreme Court to side with the government when it decides whether the feds can continue subsidizing insurance premiums. If Republicans repeal Obamacare, the budget deficit will soar by $353 billion over 10 years and 19 million people will lose their health insurance. President Obama talks at the G7 summit in Germany about the Supreme Court’s hearing of a case challenging portions of the Affordable Care Act. Insurance companies have to pay for birth control, mammograms and well-woman visits without charging co-pays, the federal government says. Nearly 17 million Americans got health insurance under the Affordable Care Act after the new insurance exchanges opened up, a new analysis finds. More than 16 million people who did not have health insurance before have gained it through the 2010 Affordable Care Act, also known as Obamacare, the federal government said Monday. Nearly 11.7 million people signed up for health insurance under Obamacare for this year, the administration says. The administration is offering a special enrollment period for people who didn’t realize they would have to pay if they don’t have health insurance. Two to 4 percent of taxpayers will end up paying a fine because they didn’t have health insurance last year, federal health officials predict. More than 9.5 million people have signed up for health insurance on the Obamacare online marketplaces, the federal government said Tuesday. More than 6 million Americans in total have enrolled for individual plans for 2015 through HealthCare.gov, HHS Secretary Sylvia Burwell said Tuesday. About 2.5 million people have signed up for health insurance on the one-year-old Obamacare exchanges, federal officials said Tuesday. More than 10 million people got covered by health insurance over the past year, bringing the rate of uninsured down from 17.7 percent to 12.4 percent. Enough young Latinos got health insurance under new Obamacare provisions to lower the uninsured rate by 20 points, researchers report. A rushed HHS team failed to plan properly or watch over contractors hired to build the online health insurance exchange, a new report finds. Remember all those predictions that Obamacare was going to create a crush of pent-up medical demand? It didn't. Hispanics represent a large, mostly untapped market for health care companies, but they're leading the way in many areas, a new report finds. The Obama administration's timeline for having ready the new health care law's online sign-up system "was just flat out wrong," said HHS Secretary Kathleen Sebelius. More than 9 million Americans have health insurance for the first time thanks to Obamacare, a new report finds. The Obama administration says 3 million extra people have signed up for Medicaid since the new health insurance exchanges opened in October. President Barack Obama reveled in news that 7 million people and counting piled on for health insurance in the past month. More than 7 million people have signed up for health insurance using the new online exchanges, White House spokesman Jay Carney said Tuesday. Here's a snapshot of other numbers that help tell the story of the law best known as Obamacare. Think the federal HealthCare.gov website is bad? Residents of Maryland have been standing in line for weeks to get onto a site that never worked well. NBC News hosted a live 1:15 p.m. ET webcast on Monday to answer your Obamacare questions on the final day to sign up in 2014. Millions of Americans have just a few hours left to sign up for insurance under President Obama’s Affordable Care Act. The Obama administration is making a final push to sign people up. NBC chief political director Chuck Todd weighs in on the plan, and White House correspondent Peter Alexander reports. People trying to apply and enroll for private health insurance through Obamacare before Monday's deadline found the website "currently unavailable." 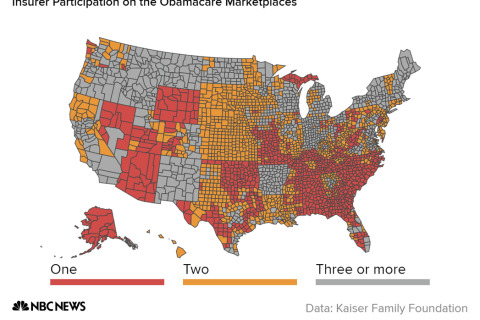 Six million people have now signed up for health insurance, a third of them in the past month. Who these people are may make or break the new exchanges. Hispanic support for the President and for his signature healthcare legislation has declined over the past six months. Polls show people still are confused about the Affordable Care Act's requirements. We clear up some of the confusion. A 'surge in demand' has prompted the Obama administration to again extend the deadline for enrollment in the federal health care marketplace. 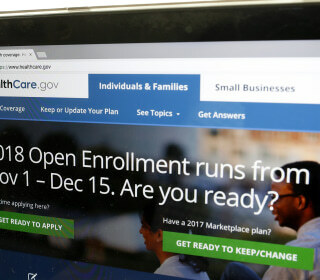 People who have been trying to sign up for health insurance on the new Obamacare exchanges may be able to buy themselves some time beyond the March 31 deadline.